Company: OKI Electric Industry Co., Ltd. Specialty: Printers, Fax Machines, PC peripheral equipment, Computers, Semiconductor IC's including DRAM Memory & wireless communications chips. 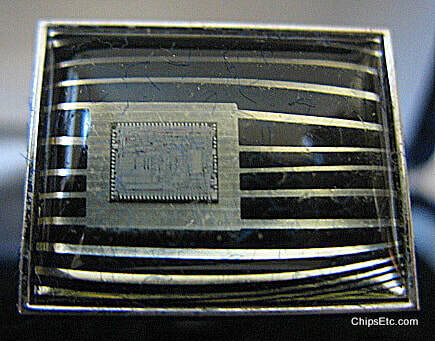 First to mass produce IC's for LCD digital watches. Designed and produced the world's first cellular phones. 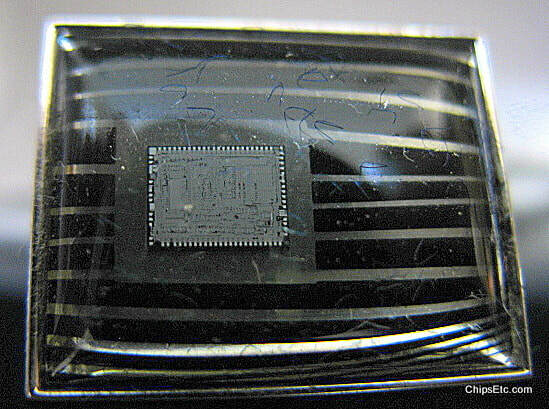 This 3 piece Jewelry set contains actual OKI 8086-2 CPU chips that would have been used in their OKI IF800 model 60 personal business computers. 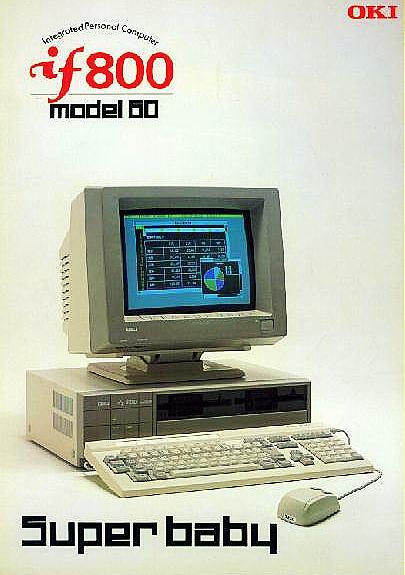 During the 1980's many semiconductor companies manufactured their own 8086 16-bit x86 Processors under license from Intel, including AMD, NEC, Fujitsu, Harris / Intersil, Siemens AG, Texas Instruments, Mitsubishi, Panasonic & OKI. ​Etched on the chip (viewed close-up under a microscope) you can read the intellectual property & copyright notices for both Intel & OKI © Intel '78 & Ⓜ OKI '85. 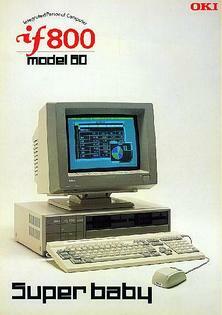 The OKI IF800/60 PC's were the top-end models of the IF800 desktop computer series and featured a processor speed of 8 Mhz, either 512KB or 1MB of DRAM memory, dual 5.25" floppy drives, a 10mb Hard Drive, and ran Microsoft's MS-DOS & MS-BASIC operating system. 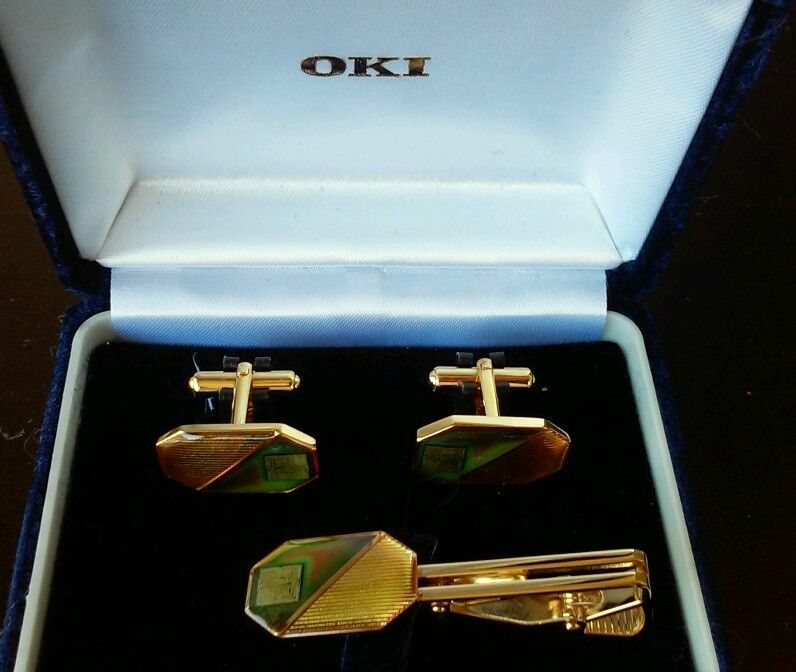 New, unused, 3-piece 10k Gold plated Cuff Links & tie-bar come in a velvet lined gift box with the OKI logo on back. This 2 piece cuff link set contains OKI Integrated Circuit chips, given out by OKASAN Securities, Ltd.
Okasan Securities was a major Japanese investment institution that still exists today. This gift set was given out to those involved in the underwriting or funding of OKI Electronics to produce semiconductors, in celebrating of completion of a new agreement or product launch. 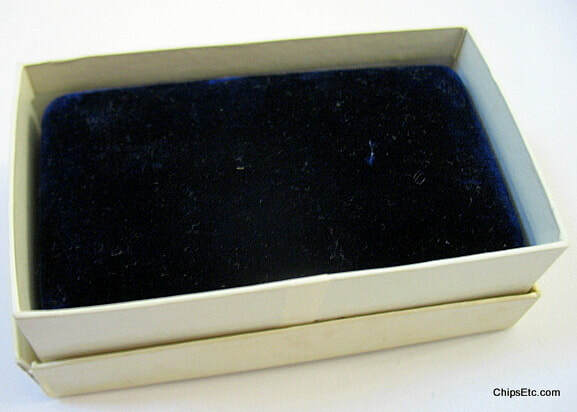 New, unused, comes in a blue velvet lined gift box with the OKASAN Securities, Ltd. logo inside. back of cuff links are marked OKI.